You can get 20 new Recyclebank points when you learn about key recycling terms. 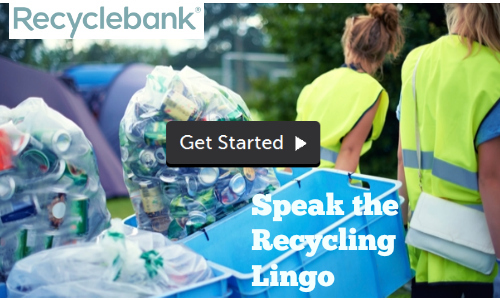 All you have to do is sign in to Recyclebank and check out the “Speak the Recycling Lingo” post. If you’re unfamiliar with Recyclebank, it’s a program where you can earn points by learning about recycling, sustainability, and staying green. The points you earn can be redeemed for coupons, gift certificates and more. Plus, it’s FREE to register!